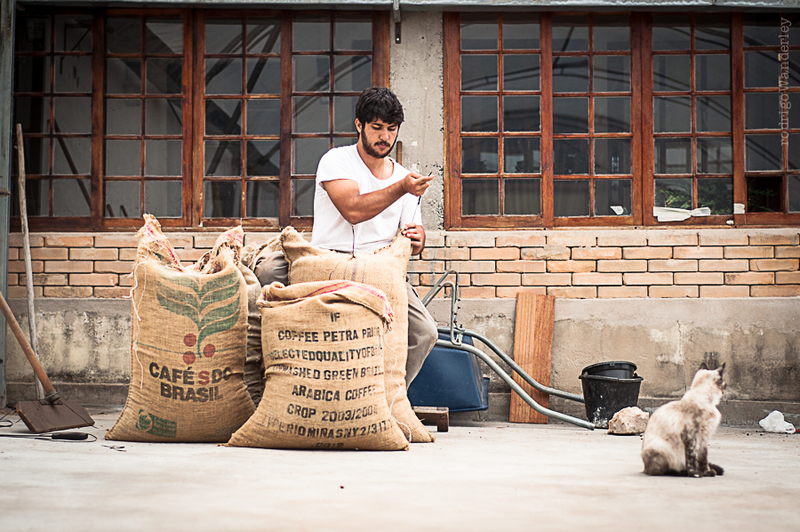 Producer José Renato, 24, is a familial coffee producer. His story begins four years ago, when he was motivated by placing fifth in the 2014 edition of the Cup of Excellence. He took over the farm from his father, who had some health problems at the time that made it impossible for him to continue working in the fields. 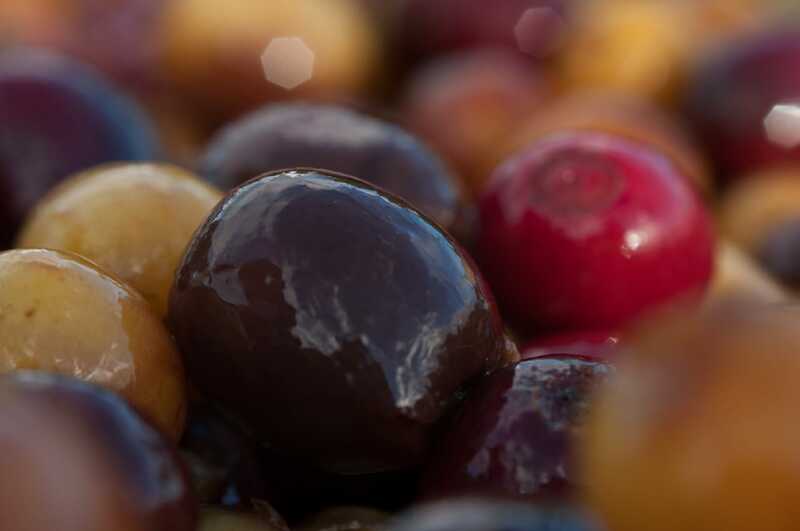 His parents thought he was crazy to enter a coffee lot in the country’s main coffee competition that year, as neither of them had any idea that the coffee they’d been growing for generations was specialty. Thanks to God and to the love that had always united his family, everything went well. 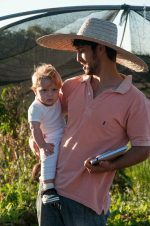 With the award and the income from the coffee, José Renato made some improvements on the farm and reformed his parents’ small house. He moved beside the coffee fields. He is building his family. 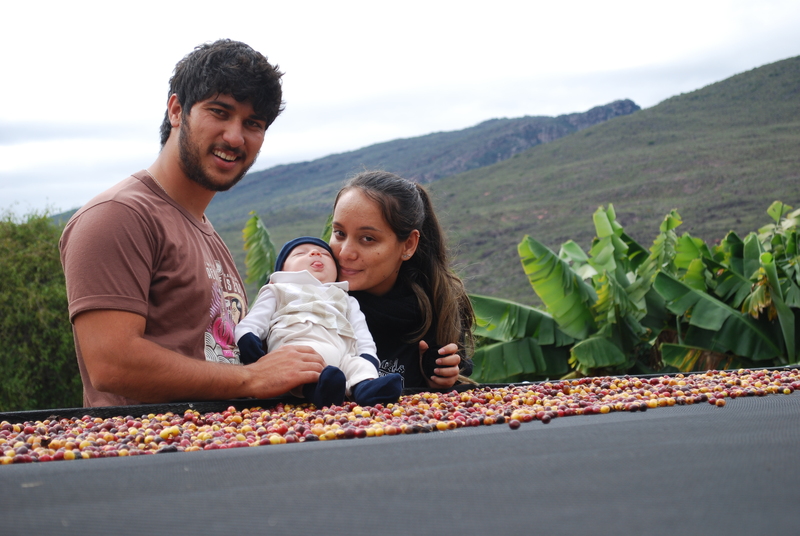 Today, he and his wife, Tainã, have little Benjamin, one year old, their future coffee farmer. 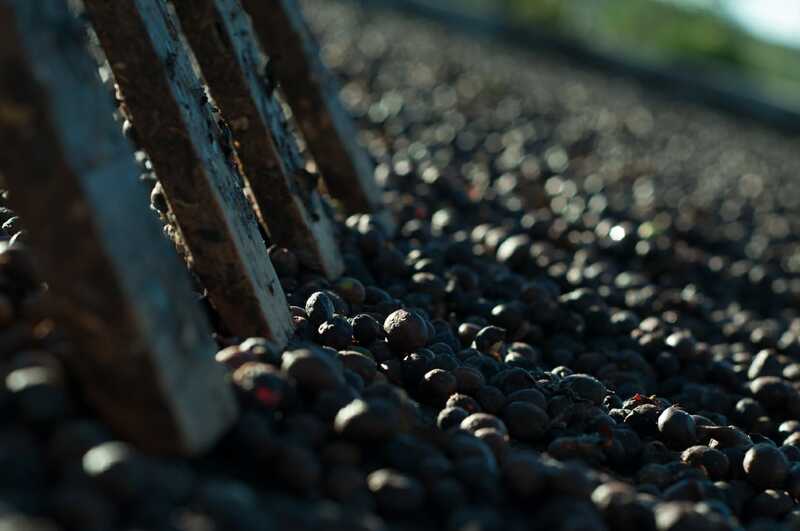 The family has 2.5 hectares of coffee that they cultivate themselves and 1 more that they planted this year.